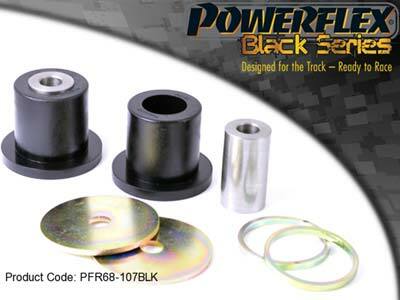 For the ultimate in performance Powerflex introduce The Black Series. a new range of bushes developed for Race, Rally and Circuit use. Performance - Developed for ultimate performance using the toughest materials. Precision - Engineered for the most accurate control of chassis geometry. Practical - Manufactured to be easily fitted without the need for special tools.